As a specialist financial services training provider, we often get asked about programs sponsored by companies working within the financial planing industry. The AMP Horizons program is one of those programs we frequently get asked about. 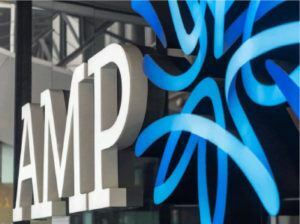 As the name suggests, it is run by AMP and offers candidates anywhere in Australia the opportunity to get into the financial planning sector via a unique pathway. That pathway is essentially a recognition that many people have many of the important skills that financial planners have in their day to day work, but lack the knowledge and mentoring in the early days of their careers to be successful. As a first step, in order to solve the knowledge gap, AMP requires all candidates to firstly complete an ASIC accredited Diploma of Financial Planning that is RG146 compliant. That is where Monarch can help you. Once you have completed our course, you can apply to the AMP Horizons program. In effect it is driven very much like a normal selection process in a traditional job interview context. In other words, you need to ‘make the cut’. Once you have been successful getting an offer, AMP provide an intense 10 week program to get you ready for working as an adviser – and they pay you while you do it! Usually this course is run in Sydney, however things do change so you need to speak to AMP directly to ascertain exactly what, when and where the next intake is being offered. Once the 10 weeks have concluded, an AMP Horizons office exists in every state in Australia and your mentoring continues in your home state where you work alongside experienced financial planners to continue to hone your skills and develop your practical knowledge. Like everything, it is not for everyone. However, from first hand experience where we have spoken to some of our Monarch graduates who have completed the AMP Horizons program, it is worthwhile exploring. In fact we have heard very good things about it consistently! Some more information can be found on the AMP Horizons Program Youtube link here or simply google “AMP Horizons program”. From our perspective, it is great to see a creative and entrepreneurial approach to getting new blood into the financial planning industry. This program presents a genuinely different avenue for people looking to career change into financial planning so consider this as one credible option among many out there. Monarch Institute has been fortunate to meet and speak to the recruiters for the AMP Horizons program, so if you would like to chat with us prior to calling AMP, feel free to contact us on 1300 738 955.